Celiac disease, although well known and mostly understood in our modern age, has a fascinating discovery story wrought with wars, starvation, deliverance, and even celebrity status. Long, long ago, human diets consisted of fruits, nuts, perhaps tubers and the occasional feast of meat. Eventually, however, plants were cultivated and the agricultural revolution began. Crops and animals were soon domesticated and the rest, as they say, is history. Along with the agricultural revolution, there came a host of food antigens previously unknown to man. While most individuals were able to adapt, some could not, and this is when food intolerances appeared and celiac disease was born. Yet it would not be identified and named until some 8,000 years later. Below are some fascinating facts about the history of celiac disease as well as a bit more of the story. Though a long and bumpy road full of misinformation and ideas that were way off base, it is clear that the pioneers were determined to get answers that would actually save lives and help those suffering. The knowledge we have now is a result of years of trial and error testing. Pre WWII, the common idea was that celiac disease affected mostly children? 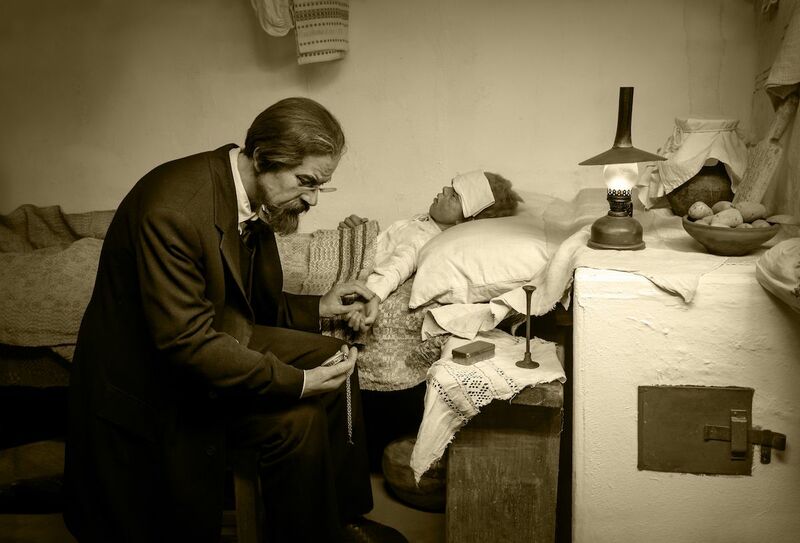 In 1888 pediatrician Samuel Ghee recognized that, though this disease affected all people, the majority of the patients were children ranging in age from 1-5. He described the disease as being chronic indigestion and stated he firmly believed that the disease could be cured by diet. During WWII, the disease went from about 30% mortality rate to 0? During the war, access to wheat was limited. Because of this, other ingredients were used such as potato starch. In 1924 a diet called The Banana Diet, was touted as a cure? An American pediatrician was convinced that complex carbohydrates were the cause of the disease and recommended bananas to all patients as a cure. Unfortunately, this did not cure the patients and most eventually went back to eating wheat and other gluten-laden foods. Post-WWII, children who had been on the verge of malnourishment yet somehow healthier overall started showing mystery symptoms again? Many children who had been sickly before the war started regaining certain parts of their health back, even when facing malnutrition. At that time, availability to wheat was limited so alternatives were used as fillers. Unfortunately, when wheat gradually gained availability, those children started becoming sick again. A Dutch pediatrician made the connection that something was missing in their diet during the war that they were getting postwar and began researching. After much trial and error, he concluded that wheat was the issue. He started that with the return of wheat, the old symptoms these children had been relieved of were gradually coming back. The next research needed to be was to determine what it was about wheat that was causing a reaction. Celiac Disease was believed to be an allergy long before it was considered an autoimmune disorder? Celiac disease is now known as an autoimmune disorder and should be treated as such. Autoimmune disorders need certain factors to be activated in your system but once triggered, it is difficult to turn back. When a person with celiac disease consumes gluten, the autoimmune response in their body is to have the intestines attacked by the immune system. 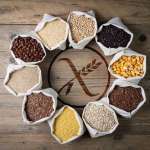 People who are dealing with celiac disease should not consume grains with any gluten in them including rye and barley and rye. Celiac disease is diagnosed through blood screening and a biopsy. However, a person with a wheat allergy can often consume rye and barley with the culprit being wheat itself, not gluten. Wheat allergies are diagnosed typically through allergy testing with an allergist. 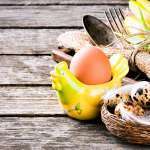 RELATED: Wheat Free vs Gluten Free – What’s the Difference? Once the difference between Celiac Disease and wheat allergy had been determined, there were still people suffering who did not fit into either category? Once the disease and allergy difference had been determined it was believed that all questions were answered. Unfortunately, there were some people who did not fit into either category but were suffering. They appeared to have a gluten sensitivity but did not suffer the intestine attack when consuming gluten – their body’s response was different and it was puzzling. Further testing showed that there was a third condition, Non-Celiac Gluten Sensitivity. The awareness of this condition not only helped bring relief to patients, but it also encouraged further research. Gluten became the celebrity everyone loves to hate in the 90’s? Miley Cyrus swooped gluten to celebrity status when she tweeted about her weight loss and gave credit to a gluten-free diet. Although not everyone should give up gluten, this has certainly aided in the awareness for people with gluten issues. Gluten is not evil in and of itself but it is good to know and understand your own body to either consume or avoid gluten. Today, cases of celiac disease are on the rise. Findings from the Mayo Clinic suggest it’s four times more common now than it was in the 1950’s. While there are no confirmed reasons why doctors suspect this, it has been speculated that it may be due to the way wheat is grown and processed, or the ubiquity of gluten in processed foods. The good news is, even though celiac disease appears to be more prevalent, celiac patients are leading a higher quality of life than before. The marketplace now offers a larger variety of tasty gluten free foods, medical advancements have grown by leaps and bounds, and there is a plethora of tools and gadgets available. As you can see, celiac disease has quite the history with many characters, some noble and some villains. But overall awareness worldwide has increased tremendously. If you are thinking you may be intolerant to gluten, it would be a good idea to go see your doctor. The great news is, there are amazing gluten-free options for everything from bread, pizza crust, and more!